We’re creators of outdoor spaces—deck builders, reconstructors, and innovators— and we’re helping you take back your weekends with vinyl. How do we do it? It’s time to find out. Read on or visit our warehouse—we’re open every day (except Sunday), no appointment required! We’re only a call away (sounds cheesy, doesn’t it? 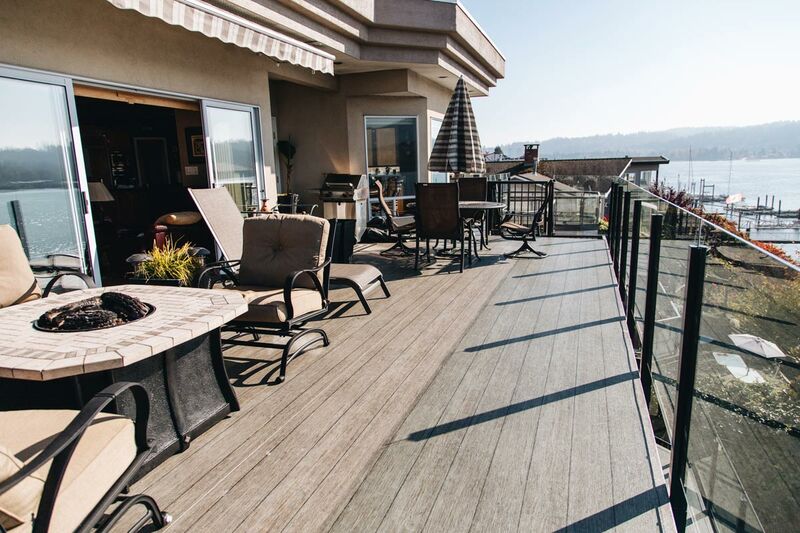 ), but all of our contractors are employed inhouse and have over ten years of experience installing decks. We’re driven by making things easy for you, and by partnering with our sister company Valordek, we’re able to minimize lead times and uphold our rigorous quality and customer service standards. Did we mention our warranties are for both our product and the installation? We’ve got you covered from all angles. Outfitted with the latest technology and designed for maximum efficiency, our state-of-the-art warehouse is 8,100 sq. ft.—that’s a lot of room for vinyl, don’t you think? It is! But we like to keep every style on the shelf so we can reduce lead times and create the best experience for you. All of our vinyl products are ‘Roof Grade’ certified, measuring at 68mil which complies with all current building codes. Whether you’re a DIY builder and installer or want to keep your deck looking fine for years, you’re going to need some accessories to kickstart your efforts. We have everything you need— installation guides, tools, and supplies—to get the job done right.